Taiko Center of the Pacific will be performing at Ward Village Festival of Giving 2016 on Nov 4 (Fri) 7-8pm and Nov 5 (Sat) 11am-12pm. TCP adult ensemble has been working on new pieces including their first public performance of “Lion Chant” Composed by Shoji Kameda. 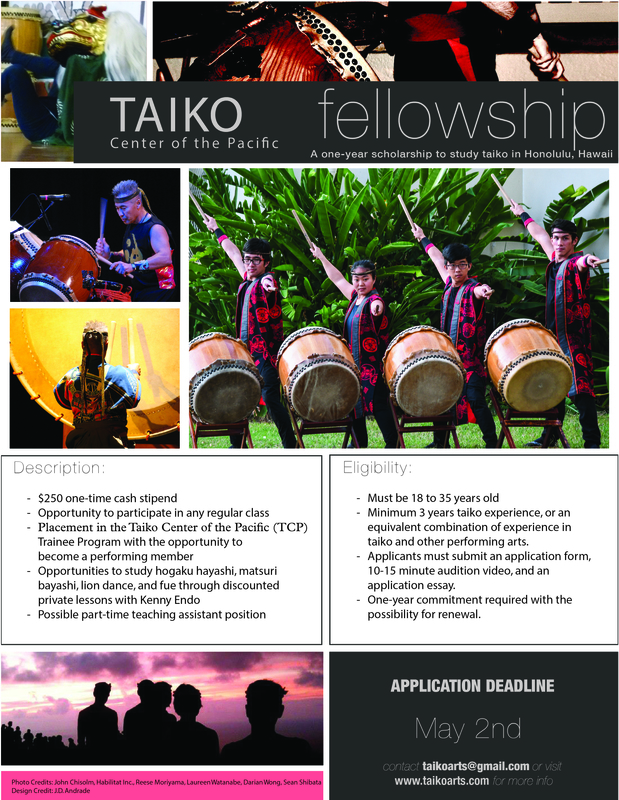 Come join us and support Taiko Arts Center! ← Fall Session II beginning this Sunday!